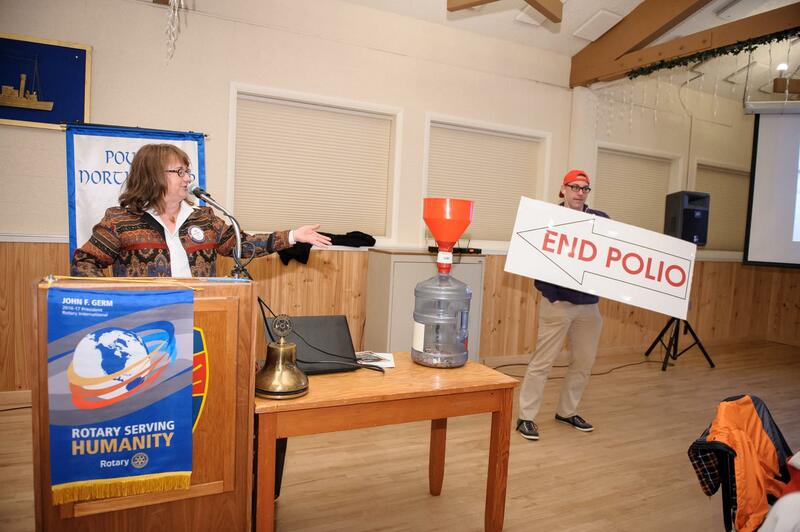 Polio Plus is Rotary International's program to End Polio Now. Members tossed their spare coins (plus Ann Piles’ check for 96.50!) into the Change Receptacle for Change to END POLIO NOW Bring your change!